First you’ll need a red polo shirt. 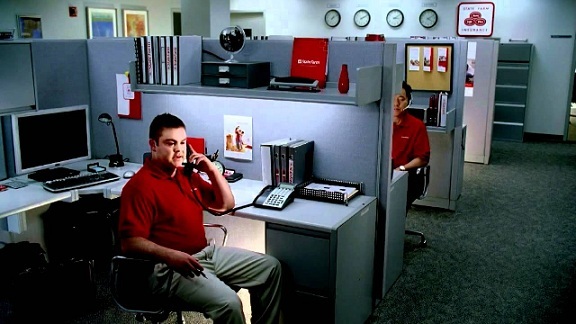 Next you’ll need a pair of khakis. You can add in a headset or use a cell phone handset accessory to enhance the look. 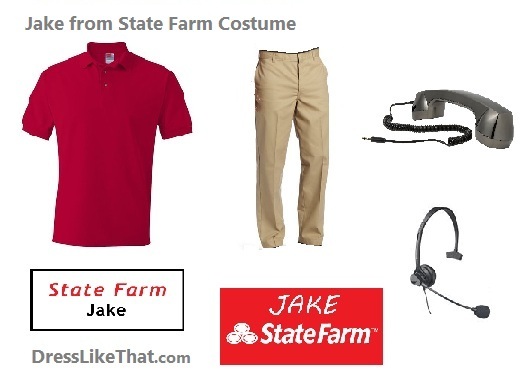 Finally, use this template or this guide to make your own Jake from State Farm name tag to finish off the look.